Who Does This Soundboard Appeal To? Conclusion – Is The Behringer X32 Producer The Right Mixer For Your Organization? 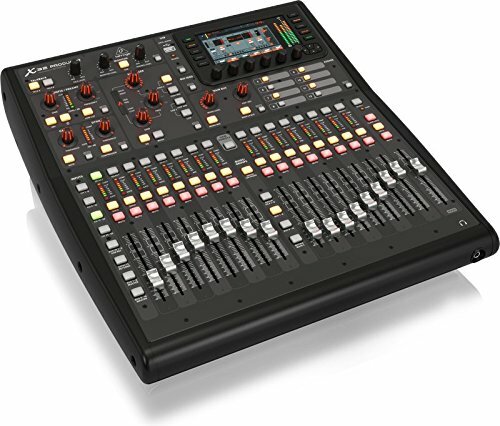 A truly professional-grade digital mixing console is something that can be pretty expensive. This is going to be a purchase that you will want to think about quite a bit ahead of time. You want to make sure that you are making the best use of your money. 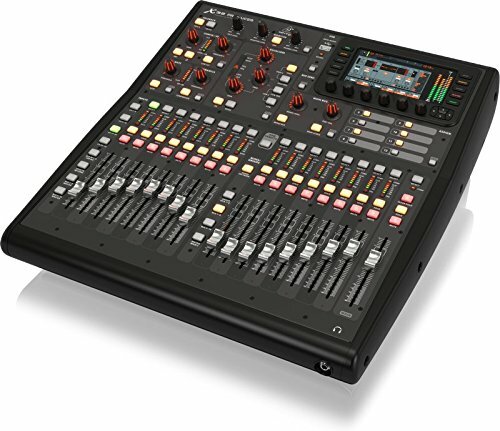 It is also important to buy a digital mixing console that will meet your high standards. Thankfully, it is possible to find good digital mixing consoles that are relatively cost-effective. A good example is the Behringer X32 Producer. 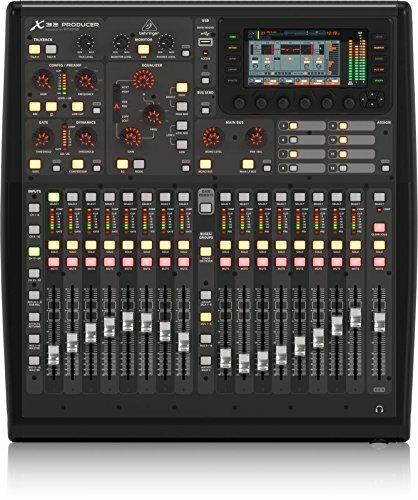 This is a perfect digital mixing console for the studio. It is also going to work fantastically in a live setting, so it is a very versatile piece of equipment. A digital mixer like this can ensure that you get the audiophile sound that you have been looking for. This is a very high-quality mixer, but it is still crucial for you to take a deep look at everything that it has to offer. You want to be able to determine if its mix of features will work properly for what you are trying to accomplish. Continue reading to take an in-depth look at the Behringer X32 Producer. You’ll learn all of the pertinent details that can help you to make the best purchasing decision possible. This is a truly professional digital mixer that is going to work well for anyone who works in the music industry. This is the type of mixer that you will see in a studio with high production values. It has the right level of kick to appeal to music producers and will also be cost-effective enough for some musicians to have one in their home. If you are building a home recording studio, then this digital mixing console is going to work brilliantly for you. It will also work out nicely for music venues when they decide to purchase this unit. This could work very well for concert lounges that need a high-quality sound system. Putting this digital mixing console at the center of your setup will give you good results. You can mix the sound for live performances and will also be able to ensure that house music sounds superb. Many churches will choose to buy a digital mixing board that is high-quality, too. Larger churches may want to have access to a bigger mixer that is capable of producing the best possible results. It can really help your worship music to sound its best. This will be useful for all of your other audio needs as well, so it is definitely worth taking a look if you run a church. Audio engineers and certain types of DJs will be interested in this equipment as well. Audio engineers will certainly be able to make use of this mixer in a professional setting. DJs may find it useful when they are mixing tracks to use for their sets. This is professional-grade equipment that is going to appeal mostly to people who work with audio as a profession. Don’t expect to get any extras when you order the Behringer X32 Producer. You will just be getting the high-quality digital mixing console that you have been waiting for. It will work great right out of the box, and you can hook it into your sound system with relative ease. It is possible that you may want to buy some other equipment to accompany it if you do not already have a good audio setup for recording purposes. This digital mixing unit certainly has many desirable features. To start off, you should know that this mixer is a 40-input channel unit. This 25-bus rack-mountable mixing console will work great for both studio purposes and live applications. It is very popular in the studio due to its precision and ability to give you audiophile quality results. You will love the 16 MIDAS-designed mic preamps that are included in this unit. All of the microphone preamplifiers are fully programmable too, making this an even more useful feature. You can get the best sound quality that is possible out of your microphones. This is perfect for both live mics and for recording vocals in the studio. The Behringer X32 Producer even has 17 fully automated motorized 100mm faders. This lets you get an instant overview of what you are doing. Scene management and DAW control are going to be as simple as possible when you use this mixer. You can get the high-quality results that you need in any professional setting. It also has 8 XLR outputs with 6 additional line inputs and outputs. You can even make use of the phone connector for your convenience. It has a talkback section, too, with an XLR mic input. This 32 x 32 channel USB 2.0 audio interface is going to be enough to win over just about any professional. Those who are looking for an alternative may want to look into the SKP Pro Audio D-Touch 20 Digital Mixing Console. This unit is also a professional-grade model, but it is a bit less expensive than the Behringer. You can save a bit of money by going with this mixer, but it will not quite be able to stack up in the features department. Even so, this is a great mixer that has a touchscreen and is very easy to use. It would be a great purchase for the studio and will work well in a live setting, too. 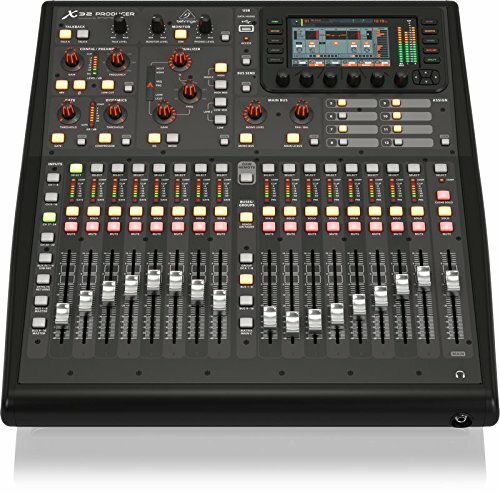 Purchasing the Behringer X32 Producer is a good idea for anyone who needs a professional digital mixing console. It has the features that you need to succeed in your endeavors. This high-quality unit can give you the optimal sound quality that you are looking for. Whether you are looking to record a song, or if you need to make sure that live performances go off without a hitch, you will love this mixer. It isn’t inexpensive but it is reasonably priced for a unit of this quality. If you need to get the best results, then consider buying this. There are less expensive options on the market, but this is offering significant production values that will appeal to music producers. Think about what your needs are, and then see if this product matches up with your budget.